When seen from Earth, the Sun moves in a celestial sphere and passes various constellations while moving in a circle, throughout the year. This circle is known as the ‘ecliptic’. It is the path along which the Sun appears to move on its celestial sphere. We are using the term appears because the fact is that it is, in fact, the Earth that moves around the Sun. A constellation is a group or cluster of stars that form patterns when joined by imaginary outlines on the celestial sphere. 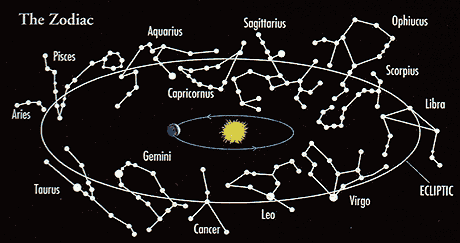 Each constellation is represented by a mythological God or an animal or any other mythological creature. The ecliptic circle is surrounded by an area around it, known as the ‘zodiac’. It is like a belt wrapped around the ecliptic path and carries within itself the celestial bodies like the Sun, the Moon, and various planets. The zodiac belt extends about 8 degrees north or south of the ecliptic path. The term ‘zodiac’ originates from the Greek word ‘zodiacus’ which came from the ancient Greek word ‘zoidiakos kyklos’ meaning ‘circle of little animals’. There are 12 zodiac signs in total and most of the zodiac signs are represented by the image of some animal like the ‘2 fishes’ stands for the Pisces sign and the symbol of the Scorpio sign is represented by the ‘scorpion’. The concept of the zodiac was first introduced in the 6th century BC during the neo-Babylonian period. The early astrologers knew that it takes 12 lunar cycles i.e. 12 months for the Sun to return to its original position. They identified 12 constellations that they observed to be linked to the progression of the seasons and named them after animals or Gods and gave them identifiable signs. These are called the zodiac signs and they correspond to the constellations. 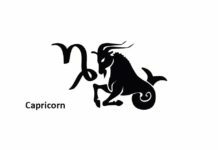 Zodiac signs were subdivided into 4 groups namely, the water signs (Cancer, Scorpio, Pisces), the fire signs (Aries, Sagittarius, Leo), the air signs (Libra, Aquarius, Gemini) and the earth signs (Capricorn, Taurus, Virgo). This division was done by astrologers on the basis of the impact of these signs on personal character traits and different areas of life like relationships, work etc. The practice of astrology is intertwined with the zodiac signs. Apart from introducing the concept of the zodiac signs the Babylonians are also credited with the discovery of astrology. In astrology, the zodiac belt is divided into 12 equal parts of 30 degrees each. These 12 parts represent the 12 zodiac signs. As mentioned earlier, these zodiac signs correspond to the 12 constellations. These constellations are Aries, Taurus, Gemini, Cancer, Leo, Virgo, Libra, Scorpio, Sagittarius, Capricorn, Aquarius, and Pisces. The zodiac signs’ names are the same as the names of the constellations. However, the constellations are different from zodiac signs as defined in the first paragraph above. 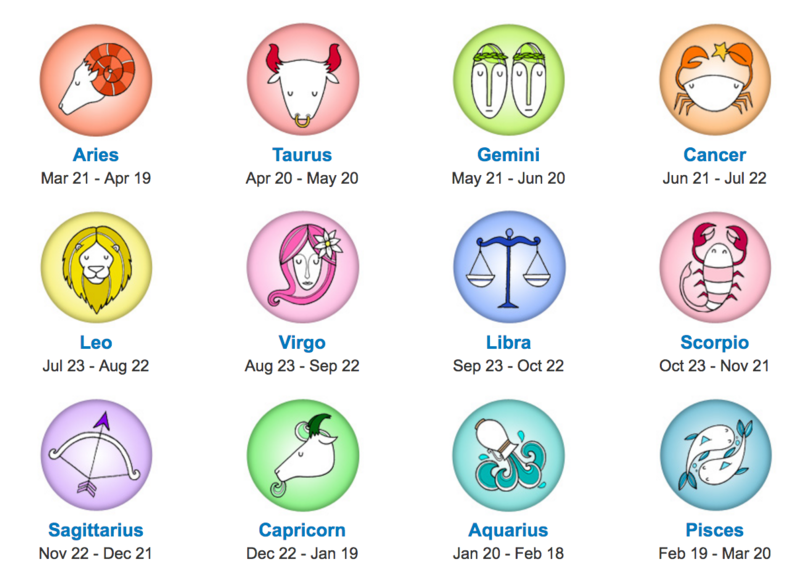 Zodiac signs are central to the concept of astrology. There are broadly two kinds of astrology based on two major types of celestial coordinate systems namely, the ‘ecliptic coordinate system’ and the ‘sidereal coordinate system’. The ecliptic coordinate system has the Sun at its pivot. The sidereal system, on the other hand, treats the position of the stars as ‘fixed’ instead of the Sun’s position. While western astrology follows the ecliptic method, Hindu astrology follows the sidereal method. The sidereal system acknowledges that the equinox shifts over time which the ecliptic system doesn’t. Hence, there is a difference of 24 degrees between Hindu and Western zodiac belts. While there are other types of astrology systems like the horizontal system, the spherical system, and the rectangular system, these are the two main ones and are explained below. The western astrology took shape when the Greek astronomer Hipparchus propounded the theory of equinoxes after the introduction of the zodiac signs in 6th century BC. An equinox is that point where the Sun is right above the equator and day and night are of equal lengths. 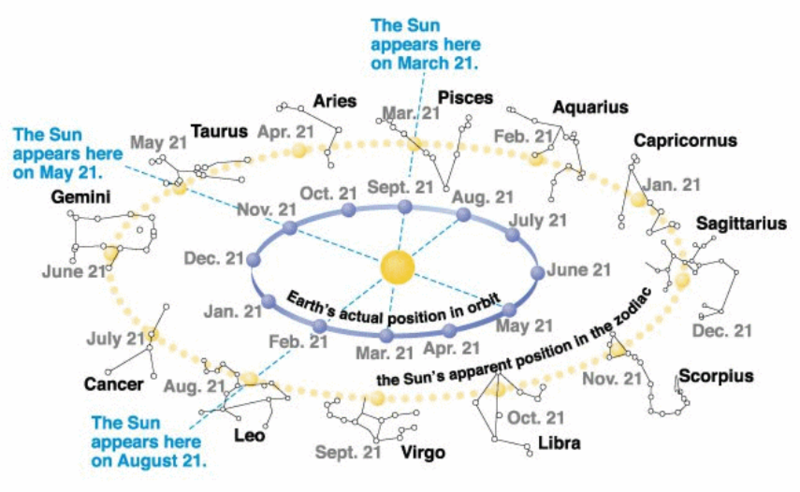 Consequently, another Greek astronomer Ptolemy defined the zodiac using the theory of the vernal equinox (a vernal equinox is a point when the northern hemisphere moves towards the Sun). As mentioned earlier, the ecliptic system is the base of western astrology. This system treats Sun as the pivot and its direction is same as the vernal equinox’s direction. Zodiac signs surround the ecliptic coordinate system in a zodiac belt around it. The belt is divided into 12 equal parts with each part representing one of the 12 zodiac signs. 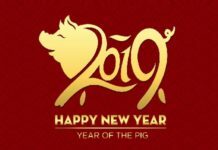 The astrologers have divided the year into twelve parts of approximately 30 days each. Each period of 30 days coincides with a unique part on the zodiac belt. As the Sun is positioned in the Aries sign from 21st March to 20th April, any individual born between these dates is said to have the Aries as his zodiac sign. This is followed by Taurus where the Sun transits from 20th April to 21st May. This goes on till the Pisces sign where the Sun transits from 18th February to 20th March which completes the zodiac belt. This is the base of Western astrology. Visual representation of the Sun ‘appearing’ in various Zodiac constellations during different times of the year when seen from Earth. In Hindu astrology, the concept of the zodiac is built on the sidereal coordinate system. In this system, the zodiac signs are defined based on fixed stars. 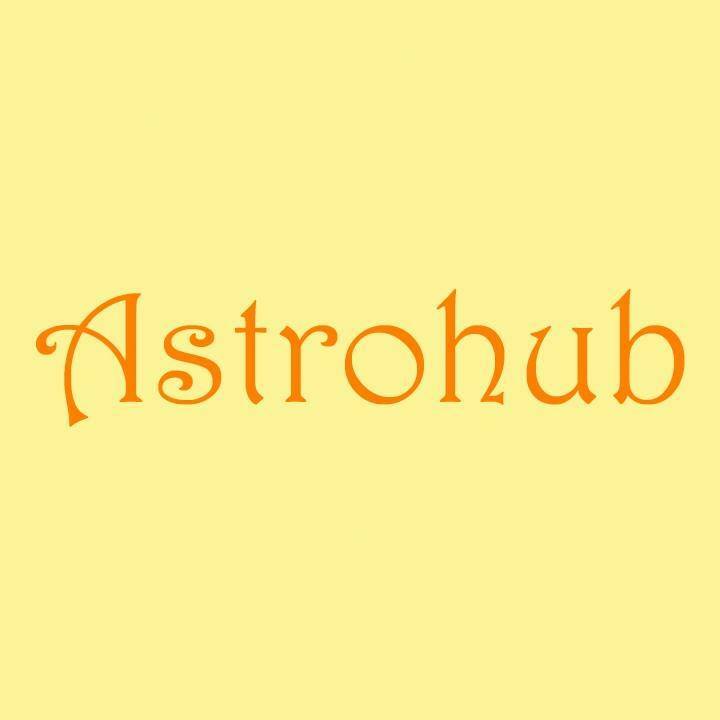 This means, that the Hindu Jyotish system of astrology which is a sidereal system directly ties the zodiac signs to the zodiacal constellations. 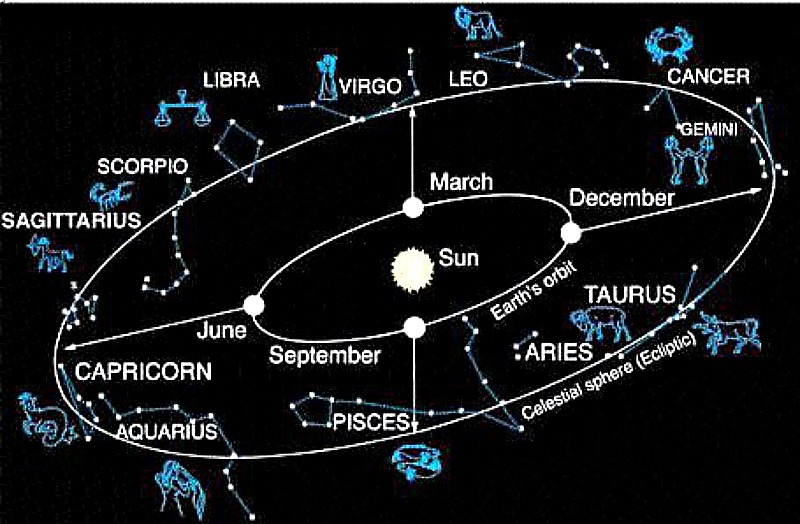 Some Hindu astrologers do not equally divide the zodiac belt into 12 signs of the zodiac every 30 degrees. Instead, they believe that the division of the belt is according to the size of the corresponding constellation. In a Hindu astrological chart, there is a visual representation of the position of the planets and the zodiac signs at the time of birth of a person. As per Hindu astrologers, this chart defines the entire life of that person. Reading this may help an astrologer in determining the character of a person and his past and future life events. We may safely assume that Zodiac signs form the bedrock of astrology. The astrological predictions are synchronous with the movement of the planets under these signs. The astrological horoscope comprises 12 signs of the zodiac. It is said to be a map of the zodiacal circle with Earth as the centre. This map is used by the astrologers when they want to predict an individual’s future. Every person in the universe is born under a zodiac sign which defines his personality traits. 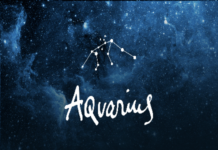 Through the study of the zodiac sign of a person, the astrologers may foretell his future as well as his behaviour, health, relationship compatibility and many other facets of life.